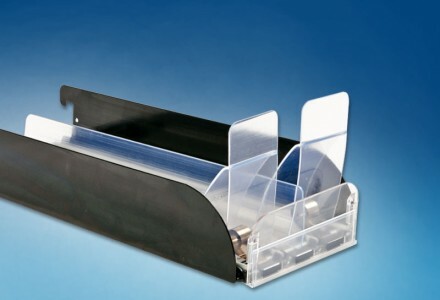 • Adjustable width: 2¾" to 17½"
• Depth: 13" to 24"
Our revolutionary Tray and WonderBar ® Merchandising System is designed and manufactured with the most innovative accessories to increase facings, maximize visibility, enhance package billboarding, ensure product rotation and reduce shrinkage for a full range of frozen; refrigerated and general merchandise products. 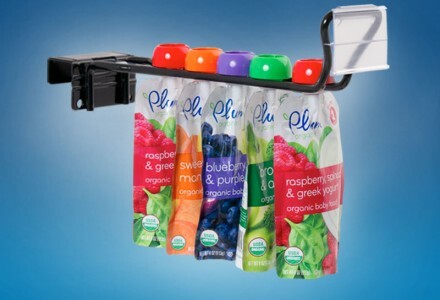 Easy to install and adjust, this complete merchandising system also ensures quick restocking. Trion will help you optimize your display space, attract customers, increase sales and cut labor costs—and our products are built to last.  No wonder we’re the industry’s leading manufacturer and supplier, with more than 16 million trays earning high praise from retailers and shoppers every day! VIEW WONDERBAR® IN ACTION HERE. 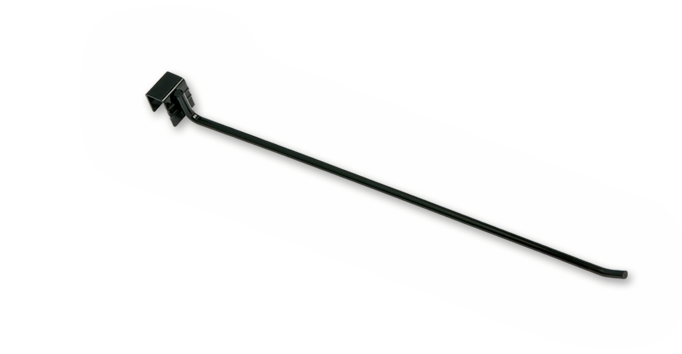 See what our WonderBar® can do. 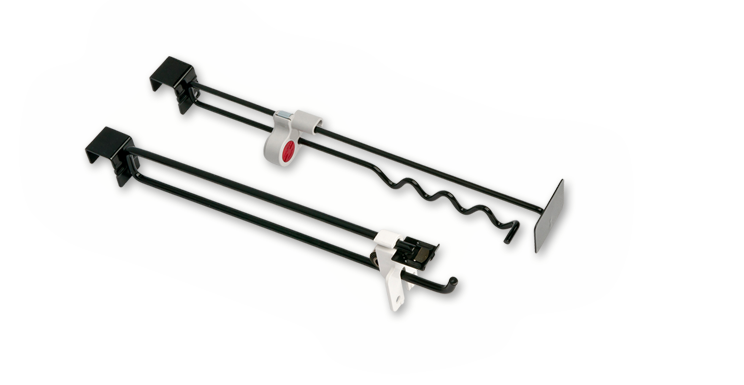 Simple design allows for one man installation in as little as one-tenth the time of tool-requiring, threaded fasteners. 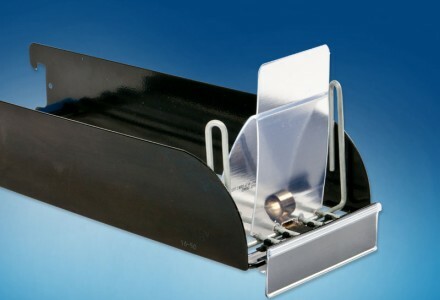 Universal Mounts quickly fit into both thick- and thin-walled gondolas, coolers and freezers. 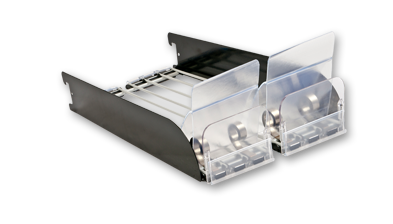 As many as 11 standard tray depths ranging from 15″ to 24″ are available to fit your exact merchandising needs. You can even “waterfall” trays in order to utilize all of your space while not interfering with the air flow curtain in open front coolers. 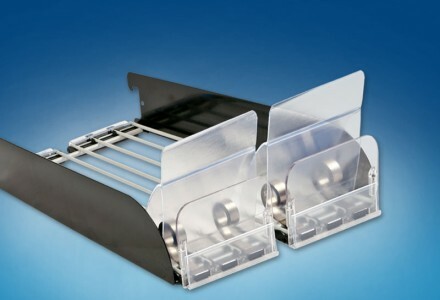 Trays adapt to fit the width of virtually all products and package styles with Oversize, Standard, Dual and Mini Trays accommodating widths from 2 3/4″ all the way up to 171/2″. No other system offers a comparable range! 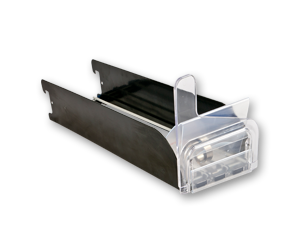 Metal or wire sided trays include pre-installed front and rear anti-skid pads to be used directly on shelves. 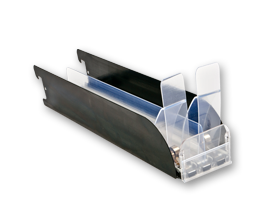 Our bar trays can also readily swap from shelf to bar as needed. Instant lift-out trays speed planogram changes and re-merchandising. Reset as many as 48 facings in as little as 15 minutes. Swap and rearrange facings, and easily create new cross-sells and adjacencies. 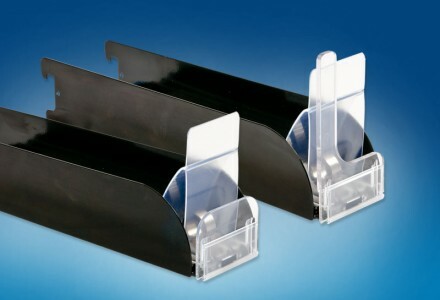 Horizontal and Vertical Sign holder systems allow easy categorization and promotion of products. Signing features an alignment bridge insuring consistent presentation across long displays. 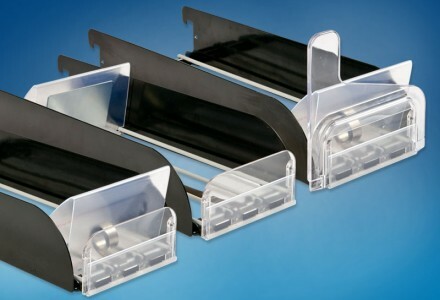 Six spring tensions and up to three mount positions in Standard Trays allow multiple combinations to fine tune push strength to any package style or product weight. 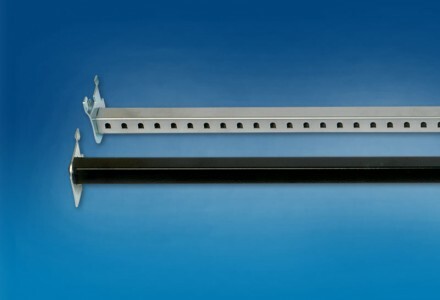 Functionality is enhanced with 9 standard pusher paddles sizes up to 63/4″ tall, with dual paddle configurations possible for Oversize or Dual Lane Trays. Imprinted paddles available. 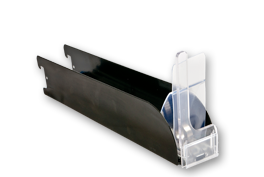 Six standard product stops address your every need with special solutions and adaptors for more demanding package sizes and shapes. 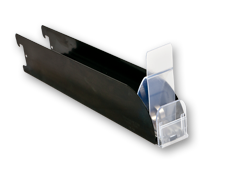 Side Wall Extenders quickly snap-on to standard metal sidewalls to create taller lanes, better contain tall or oversize packages, and corral stacked items. 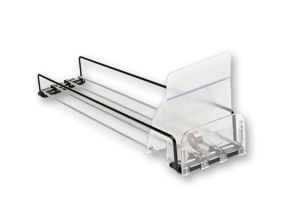 Minimize shrink, radically cut stocking labor, and guarantee freshness and customer satisfaction with easy lift-out trays. Load new stock at the back of the tray to insure proper product rotation.